Nine out of 10 respondents to a survey about the impact of plastic waste on the environment say they are concerned or very concerned about the problem, and 82 per cent say they believe that government should be doing more to tackle it. The results suggest the majority of Canadians are concerned about plastic, believe that individuals and businesses have a responsibility to reduce it, but also feel strongly that not enough is being done by government to address the issue. Environment Minister Catherine McKenna said plastic packaging is on the federal government’s radar. “Wait till June, that’s when we’re coming out with our strategy with the provinces and territories,” she said in an interview with Marketplace. While McKenna said that “there’s a role for bans” on certain types of plastics, she stopped short of committing to the types of bans other jurisdictions have introduced. Just last month, the European Union approved a ban on 10 types of single-use plastics, including straws, cutlery and styrofoam cups to come into effect in 2021. “It’s not just about banning, because I think there’s a lot of focus on banning,” McKenna said. In a circular economy, the thinking goes, packaging would be reused or repurposed. 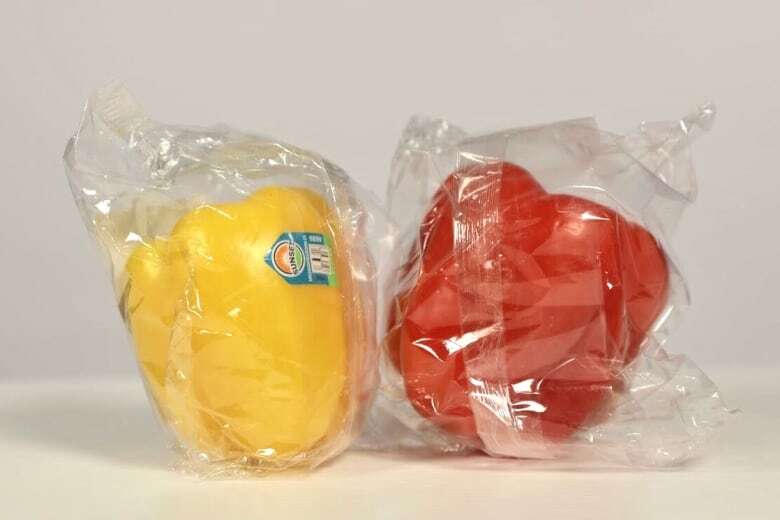 Marketplace commissioned the poll after hearing from viewers who sent in pictures of plastic packaging that they found to be excessive, including packaging on fresh fruit and vegetables, hardware items, toys and clothing. 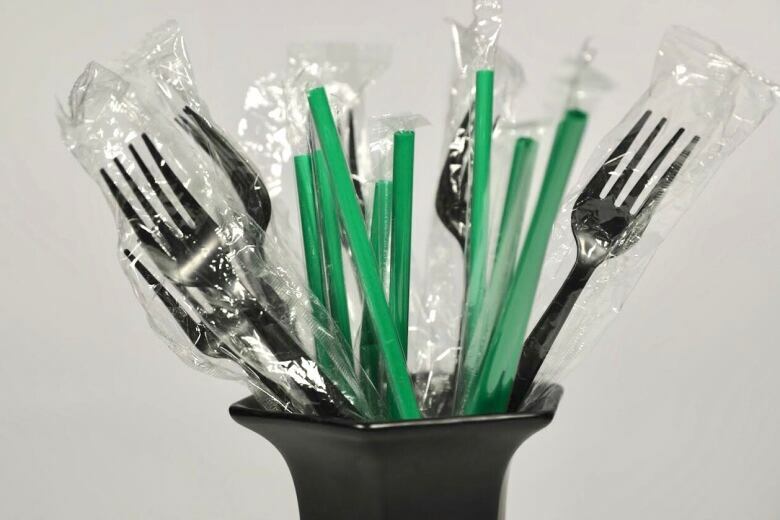 Some other examples included plastic-wrapped disposable straws and forks given out at Subway restaurants. When Marketplace reached out to some of the companies that created or sold the packaged goods, only Subway shared plans to change the packaging, saying that the sandwich chain is in the process of switching to paper straws this year. It did not outline any plans to move away from the plastic-wrapped disposable cutlery. Some viewers pointed to the large amount of plastic used to distribute small amounts of legal cannabis, just the latest product to come under scrutiny. Marketplace showed some examples of cannabis packaging to Adria Vasil, who wrote the Ecoholic series of books and writes a regular column on green living. 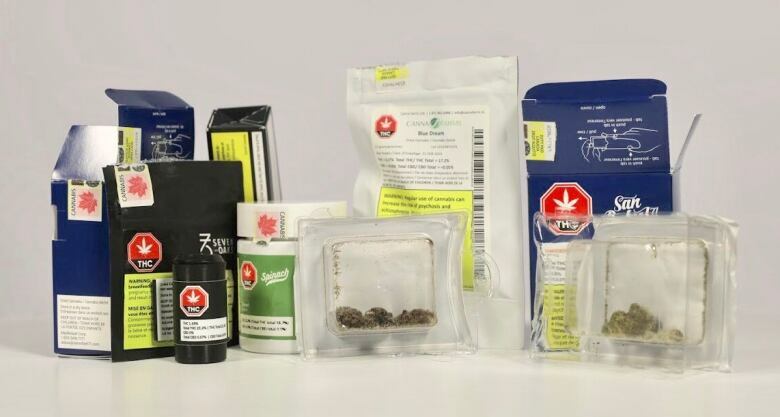 The way cannabis is packaged — in non-recyclable plastic plastic bags, clam-shell packages or in plastic bags inside sealed jars or boxes — represents a missed opportunity by the manufacturers and the province of Ontario, she said. The Ontario Cannabis Store pointed out that all cannabis packaging has to be tamper-proof and child-resistant. Even so, Vasil says she’s disappointed more thought wasn’t given to environmentally friendly packaging. Watch: Marketplace showed some of the examples of cannabis packaging to environmental commentator Adria Vasil. The results of the survey indicate companies may need to think twice about how much plastic packaging they use in the future or run the risk of losing sales. More than half of the 1,500 respondents said they would not buy certain products if they felt the packaging was excessive. McKenna said businesses have a big role to play in tackling plastic pollution. “We need companies to be more responsible,” she said. Despite widespread use of municipal blue bin programs, just 11 per cent of the plastic used in Canada is actually recycled. The rest is either sent to landfill, incinerated — resulting in harmful emissions — or discarded in the environment. And although the polling suggests that three-quarters of Canadians accept that it’s their responsibility, too, to reduce plastic, a majority say they find it difficult to do so. “Zero-waste” or “low-waste” grocery stores have opened in cities such as Vancouver, Ottawa, Montreal and Toronto, but just 39 per cent of Canadians polled said they knew of places they could shop for products without much plastic packaging in their neighbourhood. “It’s a really big concern,” said Michelle Genttner, co-owner of Unboxed Market, a zero-waste grocery store in Toronto that sells produce, meat, bulk groceries, household goods and even has a hot table with ready-to-eat food free from plastic packaging. Consumers bring their own containers.